It can also be about adventuring with friends or watching the sunrise over a blocky ocean. It’s pretty. Brave players battle terrible things in The Nether, which is more scary than pretty. You can also visit a land of mushrooms if it sounds more like your cup of tea. You can buy Minecraft for PC/Mac. Minecraft: Pocket Edition is available for iOS and Android, and Minecraft: Xbox 360 Edition is available on the XBLA Marketplace. So far 10,821,798 people bought the PC/Mac version of the game. Phew. Come chat with us on #mafiacraft on irc.esper.net from an IRC client or click here! In post 20572, EspeciallyTheLies wrote: MODDED NEWS!! I've created a new modded pack with a theme - MAGIC. Tech mods are very limited, for instance, no Thermal Expansion or EnderIO (but Actually Additions and Extra Utils 2 are included). The full modlist and current pack file download can be found here. The idea here is to explore new branches and ways of doing things to bring that bright "newbie" shine back to modded since we've basically always had the same things over and over and over again. Once testing and configs are done, I'll upload both the mods and configs folders, and put the links in the OP. I am using MultiMC to launch. We can port to Twitch after if necessary. Minecraft Whitelist enabled for all servers - please post your username in thread when requesting to be added. ETL (user aerialspring) can also help with stuff if needed. No griefing, no stealing, no PvP without consent. Don't be a jerk. Respect each other. Be considerate. If you're not sure something you want to do is ok, ASK FIRST. Don't build ugly things where people will see them. You will need to add NetherOres & Iguana's Tinker Tweaks to your mods folder. IMPORTANT: delete your config file and use this config file instead. This is the Minecraft server currently running the most-updated version possible of the original game client and server. Cutting-edge, and just as Notch and Jeb intended. We update with the newest Release version available for both client and server from the Mojang developers blog, so please check the thread for notifications and announcements. To connect to the Vanilla server, download the "New" Minecraft Launcher. This link is for Windows. This link is for Macintosh. This link is for Linux and everything else. Once you have the Launcher, double check that your version (in the bottom right hand corner) matches the server version. On their site, Mojang wrote: To get snapshots, open your launcher and press the “New Profile” button. Call it “snapshots” and check the box saying “Enable experimental development snapshots” and save. To switch to the normal version, you can select it in the dropdown at the bottom left corner of the launcher. ...or (if ours is the only server you care about having the version for, or you just don't want a new profile or something) just go to "Profile Editor" in the launcher, double-click on your active profile (which might be the only one there) and select "-----" from the dropdown menu under the "Version Selection" section. This server runs a custom modpack that adds many fun and interesting features to the base game. You are likely to find things like machines that can double output, auto-smelt, store, auto-craft or place/break blocks, large-scale auto-mining tools, MAGIC, jetpacks, airships, AND TONS MORE! 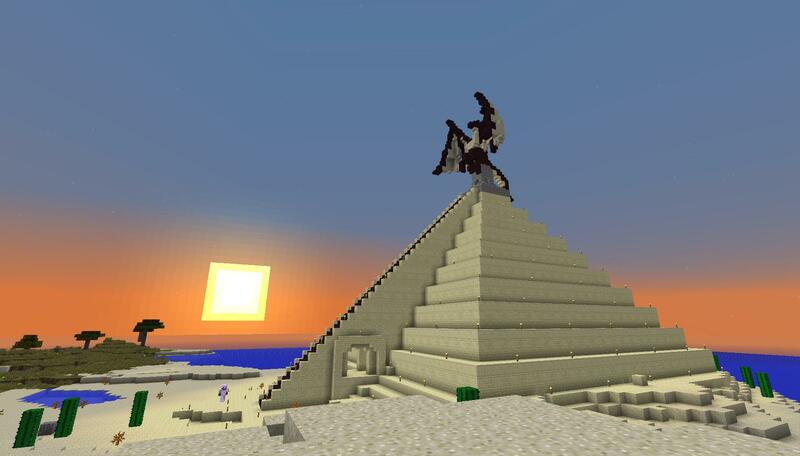 The best way to find help getting started is to visit us on the IRC channel (#mafiacraft) at http://webchat.esper.net . 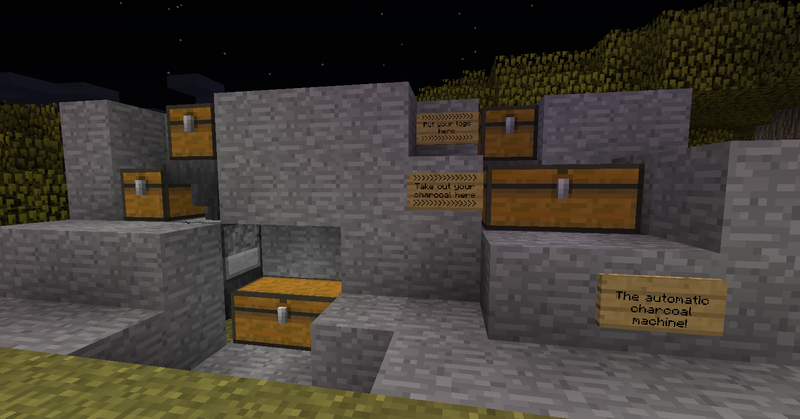 For information on Modded Minecraft, go here, here, or here! The first link takes you to the semi-Official CurseForge Minecraft Forums; the go-to location to begin finding Mods for Minecraft! The other links are to the Minecraft Coder Pack (MCP) webpage and the Minecraft Forge (FML) Forums - those are what makes it all tick! Donations are not at all required to play, but they are, of course, always appreciated. <3 Accepted through paypal to nmcerrone@gmail.com . * Currently working on transferring everything posted in the thread to two imgur albums - one for each server. My Milked Eek's mining station. 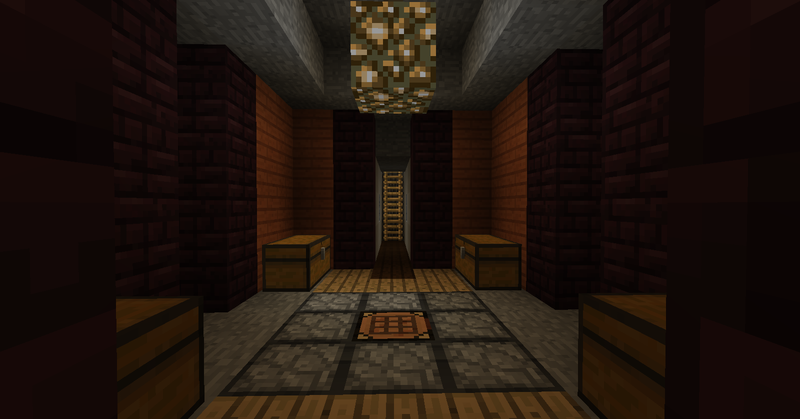 To the left: an automatic smelting machine. To the right: an automatic charcoal maker; just add logs and it's off! 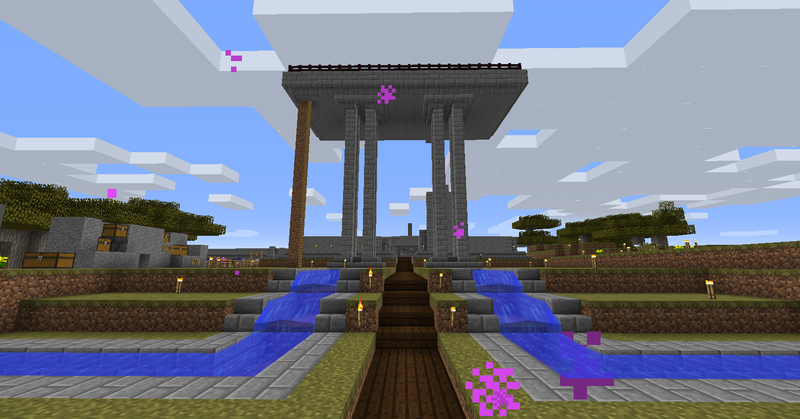 My Milked Eek has started construction on the grand entrance to his Castle Grounds! The souls of the damned are bound behind bars. Also, skeevy dark tunnel. Decorated in the style of Maestro's Bag End. If it grows on the ground, it is welcome in this hallway. There is a ladder by the sunflower that leads to izak's Nether Hub and the actual spawn portal! Last edited by EspeciallyTheLies on Thu Apr 11, 2019 2:35 pm, edited 134 times in total. You'll be dropped on a map of Texas? Izzy, where the hell do you keep finding all these pumpkins? Will post my address list later, AFK for a while. Thanks UA! Cool, I can recognize some structures in that map. I'll try to edit in some captions later. And I'll move my road system a bit to to the right, it seems I can cross the ocean with some small islands to hop to. Red is the road I'm going to construct all the way up to socio's SHOP. 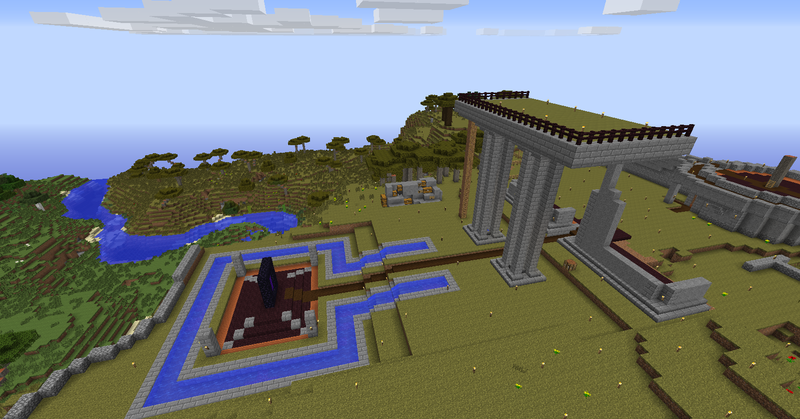 Going to fill up one sea passage (few blocks long and 1 deep) and build 2 bridges to allow seafaring. Yellow is my settlement for all to visit. Yay, I can probably extend that due west to Tan´s tower, and then North to my settlement. Toooo much lag. But I played around solo, so when it starts it should be quick. What are the white squares on that map? Maybe a few blocks that were not explored. Oman, lag come and goes with timezones. It was not laggy at all yesterday at night. Claus wrote: Maybe a few blocks that were not explored. That would work, but I'm 90% sure one of them is where my house is. Edit yours in as well. Im currently building a road from my town to Tans´ tower, and after that will connect this road to MME´s road - the western continent will soon be all connected! -125, -201, although I'm going to be moving in the near future. My house apparently caught fire from being too close to the lava. Lost a bunch of wool and most of my walls. dammit, who flooded my secret underground cave? I am no longer living in a mud hut or tiny stone box. I feel... glamorous. Wealthy. Accomplished. (Many thanks to My Milked Eel for continuing help and midnight jazz sonatas). I have relocated to -500, -500 (same as the old world, hah). PS: Adding my voice to the chorus of people thanking UA for getting us off provisionhost. I might actually play again now. esuriospiritus wrote: dammit, who flooded my secret underground cave? I'm jothchapman, for addressbook reference.